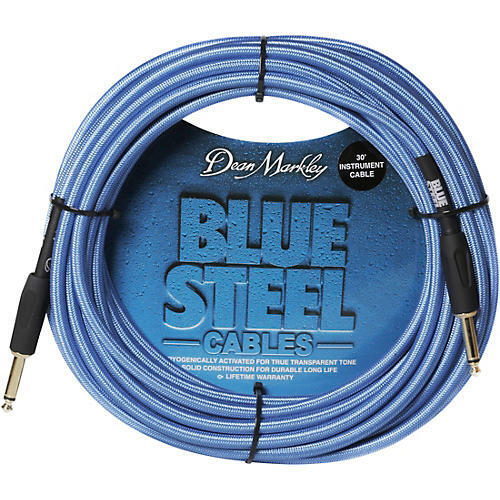 Dean Markley Blue Steel cables undergo the same proprietary cryogenic treatment as the legendary Blue Steel strings. This process slowly reduces the temperature of Blue Steel cables to -320 degrees F, changing the molecular structure and yielding amazing results. Blue Steel cables provide brighter highs, crisper, smoother lows and a transparent tonal quality that breathes new life into your tone. The freezing process also enhances the durability of these cables, so much so that they carry a lifetime warranty.